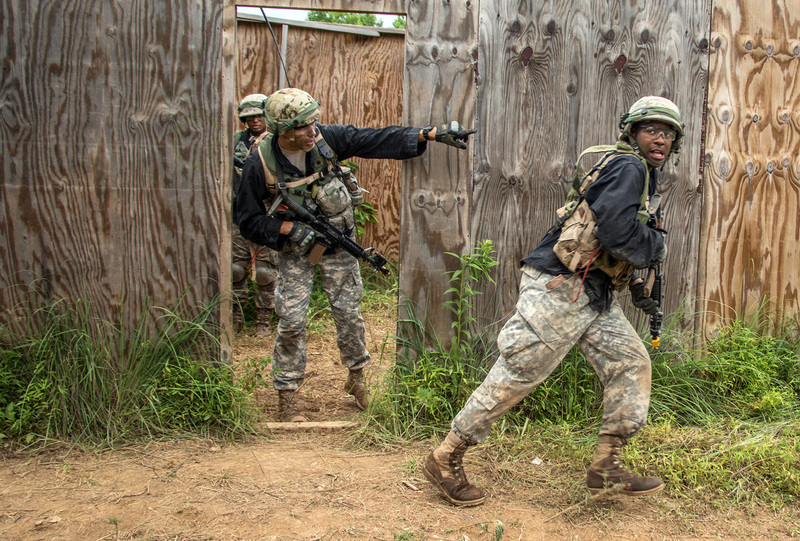 In the June 2016 issue of ARMY magazine, we provided an update on how the senior Reserve Officers’ Training Corps program (SROTC) has changed from what many who are reading this article experienced when they were a college student in ROTC. We continue to refine our curriculum and cadet summer training as well. The Army’s newest lieutenants have never been more ready to lead and train our soldiers. For those reasons and more, Army ROTC has never been healthier. With over 31,000 cadets enrolled, we produce over 5,000 second lieutenants annually for the Regular Army, Army National Guard and U.S. Army Reserve – exceeding our Department of the Army-directed mission numbers for the last five years. We produce more officers for our nation than the three service academies and the Naval and Air Force ROTC programs combined. We bring unparalleled diversity to our officer corps, with host or partnership programs on nearly 1,000 university and college campuses nationwide, including most of America’s most prestigious universities. Funded by the Army, U.S. Army Cadet Command awards more than $270 million in collegiate scholarships annually to over 13,000 college students. We’ve also started a Congressional Scholarship initiative this year to offer scholarships to those highly qualified applicants to West Point but who were not appointed to the service academy due to the limited number of seats. Further, the quality of our Corps of Cadets has never been better. Last year, almost half of our four-year scholarship winners were in the top 5 percent of their high school classes. Twenty-six percent of our cadets are pursuing science, technology, engineering, or mathematics (STEM) majors. Perhaps most remarkably, the average GPA of a cadet going on active duty is 3.4 – a strong indicator that things are indeed going well in Army ROTC. The same can be said for Junior ROTC. We currently have over 319,000 cadets in more than 1,700 junior ROTC programs in high schools across the country. This citizenship program is one of the largest youth organizations in our nation, and the cadets benefit from this program – having higher GPAs and less behavioral problems than their non-cadet peers. We also boast a near 100 percent graduation rate. Improvements in cadet quality can be attributed in many ways to the Army’s deliberate decision to invest in the cadre at Cadet Command. No longer is being a Professor of Military Science (PMS) a retirement job. Our PMSs are now centrally selected by a Department if the Army opt-in board. We also offer Red Team Critical Thinking and Emotional Intelligence education to our cadre. These courses are designed to create cadre who are experts in leader development and organizational management – skills that make them highly-valuable to the operational force. We have also revamped cadet summer training. Both basic and advanced camps are now consolidated at Fort Knox – enabling significant efficiencies – and we have made both camps considerably tougher. They are now field-focused crucibles that stress our cadets and allow us to assess their character. For cadets to obtain credit for advanced camp, they now must pass/complete seven events and are evaluated on no less than four leadership positions throughout camp. We have also re-instituted competition for the coveted “RECONDO” badge in advanced camp. We’re also striving to mobilize our alumni into an active organization focused on preserving the history of Army ROTC. Last year, we established the Army ROTC National Hall of Fame to commemorate our centennial anniversary and to recognize our most distinguished alumni. We are working with the Patton Museum at Fort Knox to house our Hall of Fame and we are coordinating with the General George Patton Foundation to establish an Army ROTC Foundation. We invite you to get involved and lend your influence and expertise to secure the posterity of Army ROTC and the service of the officers commissioned from this program. Finally, we ask you to consider becoming involved in our ROTC program. Help us by visiting and mentoring cadets. Offer them the wisdom and benefits of your experience. Most importantly, we hope you’ll prioritize spreading the message about the unique opportunity of Army ROTC to high school students and young enlisted soldiers in your community. Our nation continues to need strong and capable leaders, and you are in a position to identify students and soldiers who demonstrate a propensity for leadership.